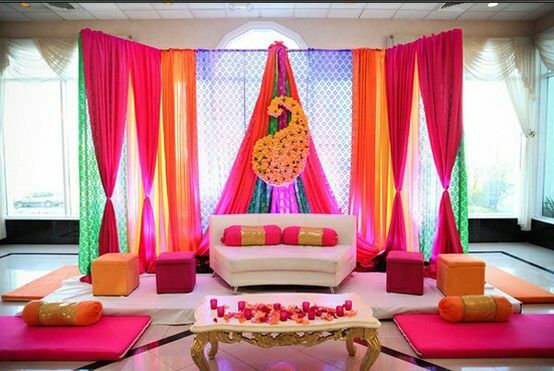 Mehndi is usually a small yet significant affair where you get to chill out a bit and relax with your loved ones before your big day. 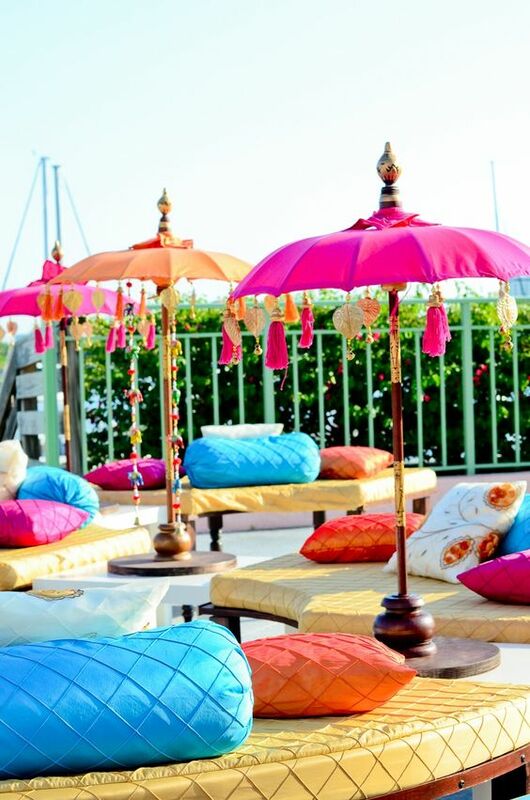 It's also one function where you can really make an effort to DIY the decor to make it more memorable! 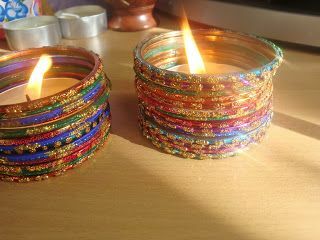 All you have to do is gather all those bangles which you don't use and string them up to create a lovely colourful theme. 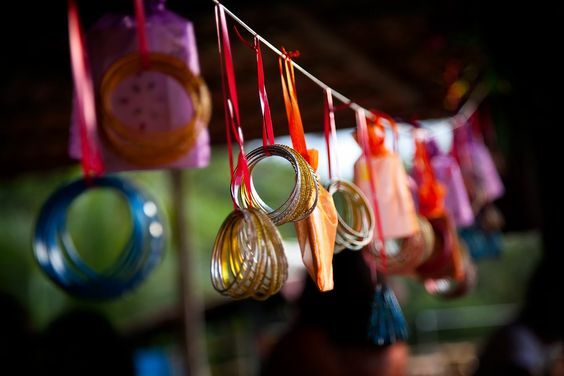 You can even buy the bangles, you'll get them on a totally cheap rate from wholesale markets. :D get creative and add something unique and memorable like your family snaps or pre-wedding shot photographs at the ends of every bangle string. 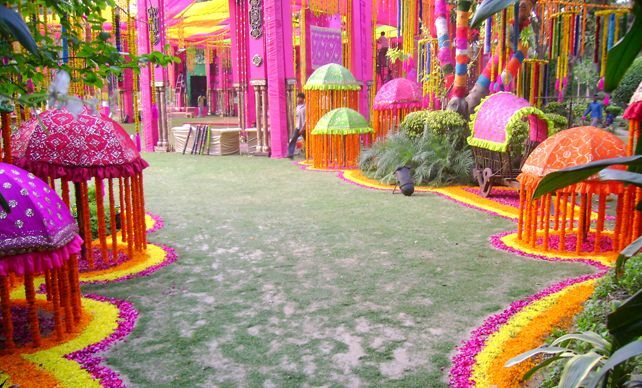 This will really add up to a memorable Mehendi. 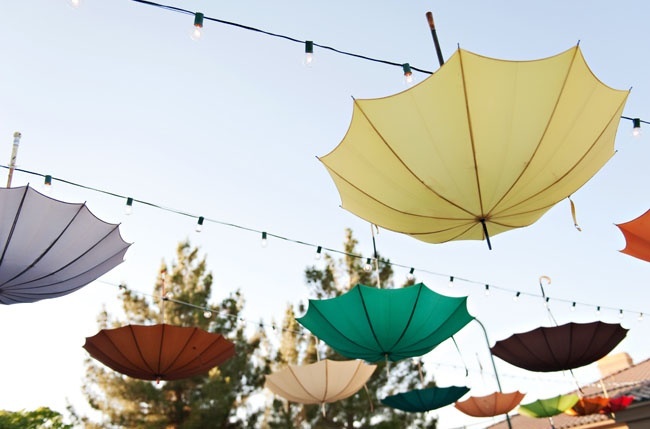 Yes, those are umbrellas. Isn't this a spiffing idea? I am loving it! 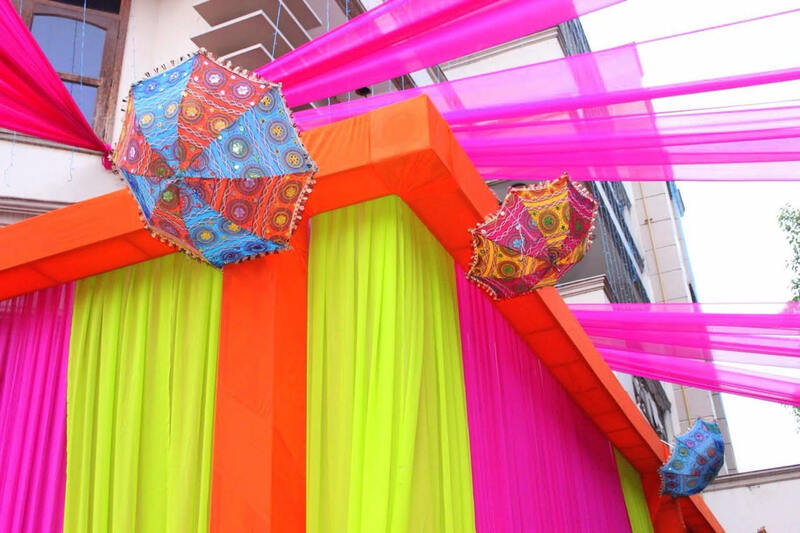 The decor above looks quite tricky and tough but in reality, it's very easy to DIY. 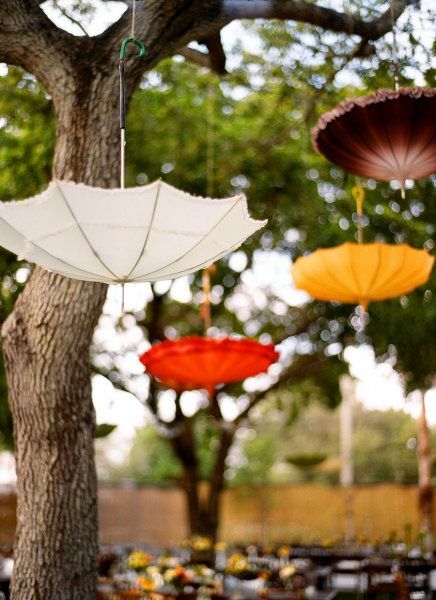 All you have to do is find a way to hold the umbrellas in place and sew flowers like tassels around it. 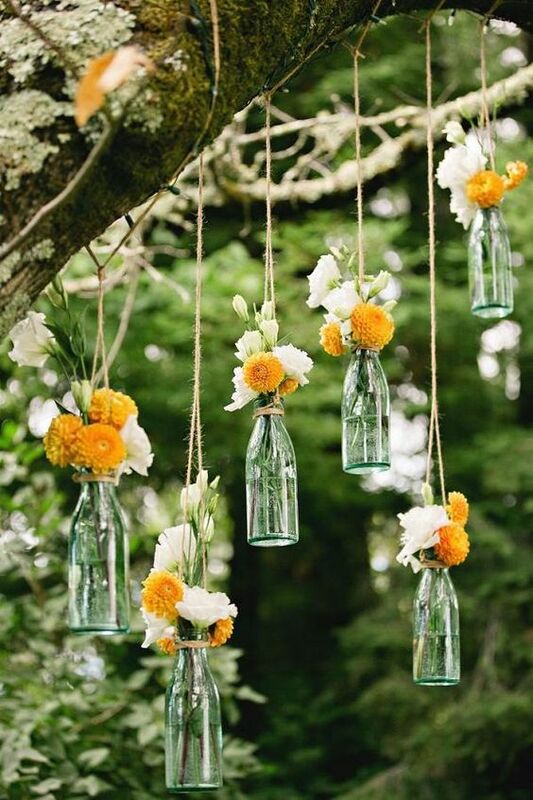 You can always get creative and hang something else instead of the flower strings like bangle tassels or beaded chains.. anything you can work on! 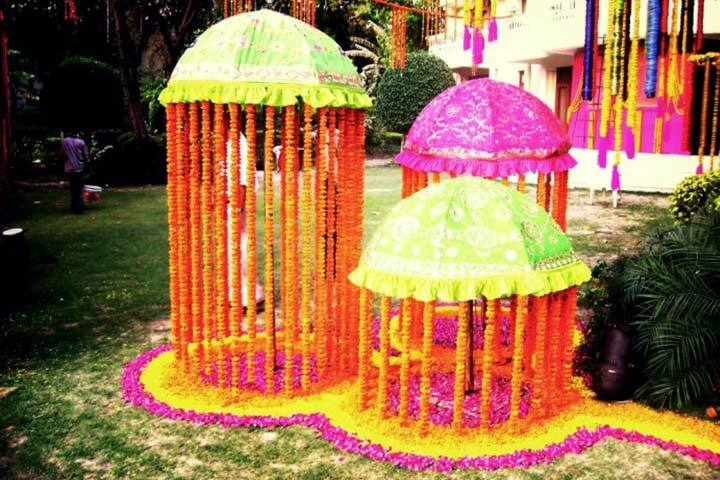 Most of the Mehndis are carried out in the house gardens / backyard and if you have a tree or two in your Mehndi venue, it's time to include it in your decor! 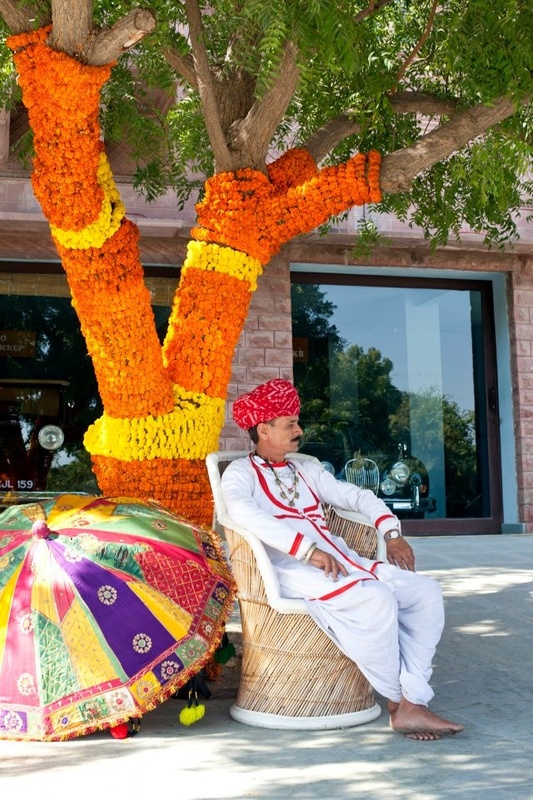 ;) If it's a day mehndi than decorate the Tree with gende ka phool or anything else you can think about. 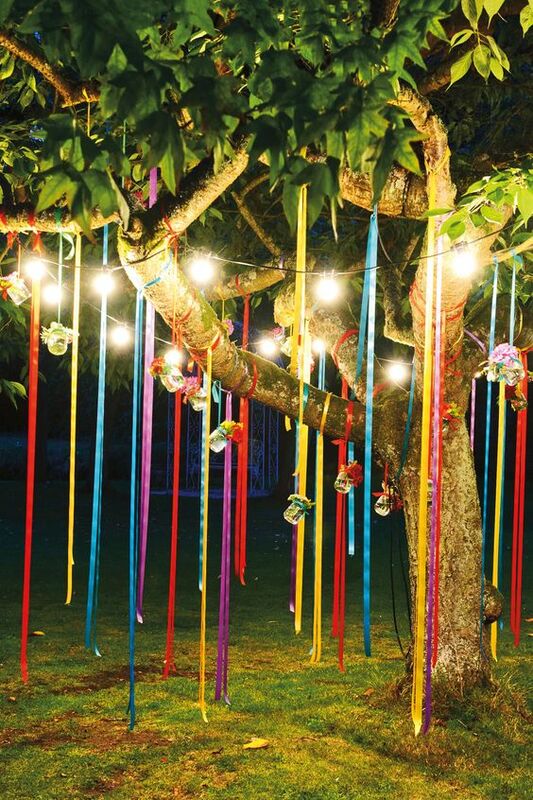 If it's a night affair than just light it up with those tiny lights which are quite the trend in every other wedding. 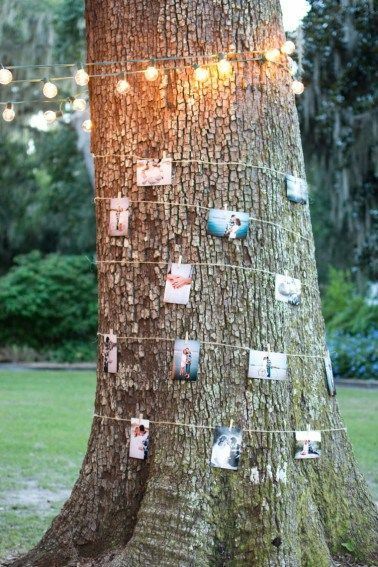 You can even hang your favorite photographs from these trees using strings. Which of them do you like?